It is widely agreed that today's global agriculture system is a social and environmental failure. Business as usual is no longer an option: biodiversity loss and nitrogen pollution are exceeding planetary limits, and catastrophic risks of climate change demand immediate action. Some want to keep the agriculture industry as close to existing practices as possible. This is true of the increasing number of corporate and financial actors who seek to solve the food crisis by developing new technologies. These technologies are envisaged as being part of what is being called the "fourth industrial revolution" (4IR). The "answer" here is thought to lie in a fusion of technologies that blurs the lines between physical, digital and biological domains. 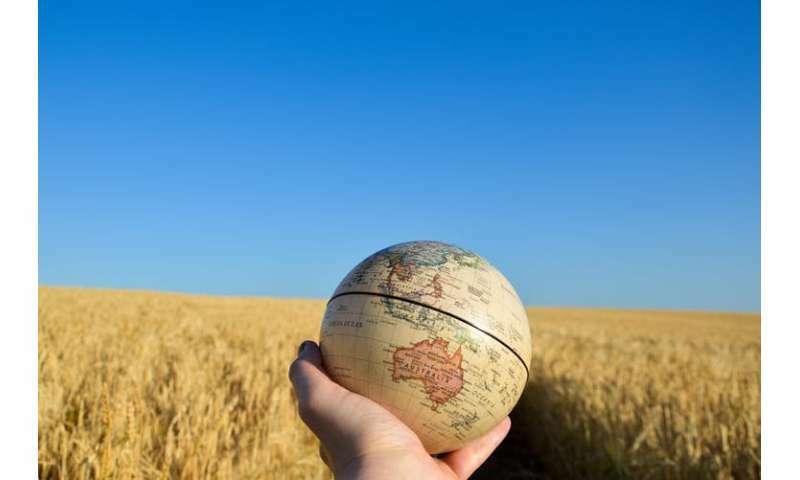 For example, the World Economic Forum is currently supporting agricultural transitions in 21 countries through its "New Vision for Agriculture" initiative. This initiative supports "innovation ecosystems" to re-engineer food systems based on "12 transforming technologies". In this imagined future, next generation biotechnologies will re-engineer plants and animals. 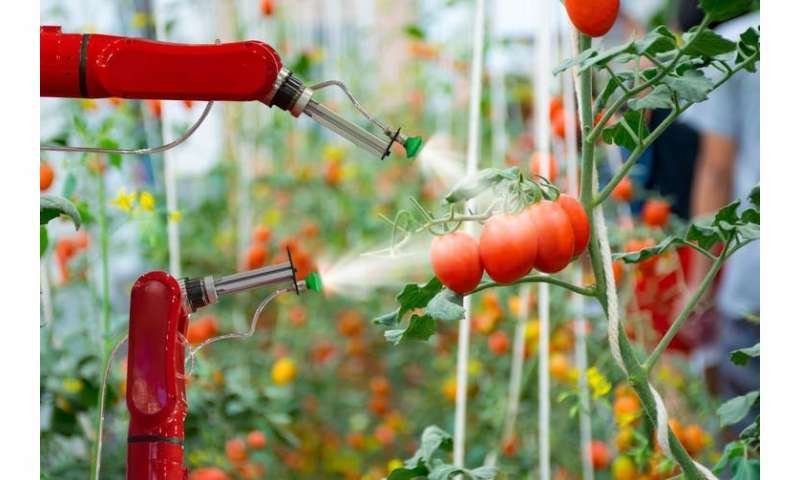 Precision farming will optimise use of water and pesticides. Global food systems will rely on smart robots, blockchain and the internet of things to manufacture synthetic foods for personalised nutrition. Like previous green revolution technologies in agriculture, this effort is designed by and for powerful agricultural giants. These technological innovations reinforce the concentration of political and economic power in the hands of a small number of corporations. Indeed, the latter have a growing monopoly control over the "12 transforming technologies" protected by patents. Most notably, the spread of these technologies will expand the technosphere at the expense of the biosphere. Flying robots will pollinate crops instead of living bees. Automated machines will replace farmers' work on soil preparation, seeding, weeding, fertility, pest control and harvesting of crops. The spread of automated, de-localised and digitalised production and commercialisation of food is part of the "financialisation" of the global food system. Financial markets play an increasing role in controlling food systems from a distance. This generates huge social and human risks. For example, the significant growth in the sale and purchase of financial products linked to food commodities was one of the determining factors in the 2008 world food crisis. But there is an alternative to this future. Agroecology involves the application of ecological principles for the design and management of sustainable agroecosystems. Our research on agroecology focuses on how it can contribute to food sovereignty, which emphasises the democratisation of food systems. Agroecology's contribution to the Sustainable Development Goals is now recognised. 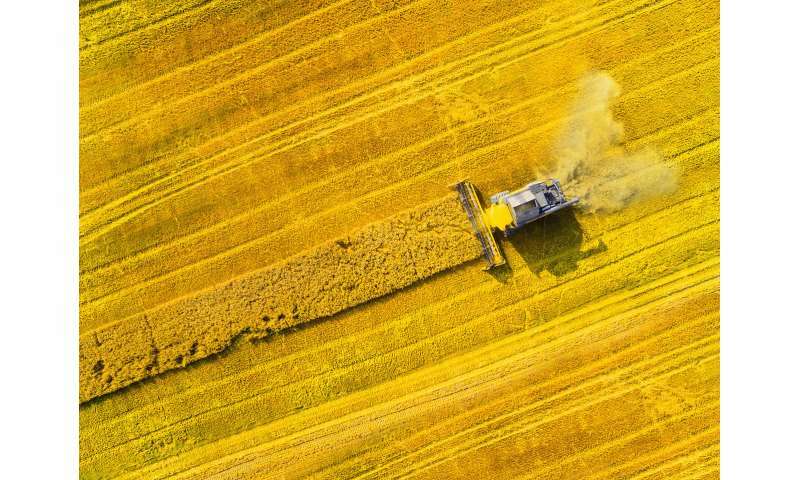 But given these highly contested views on innovations for food and agriculture, it is vital that everyone is able to exercise their right to have a say on the future of their food supply. Deliberative and inclusive processes such as citizens' juries, peoples' assemblies and community-led participatory processes are urgently needed to decide priorities for food and agricultural innovations. This is all the more important in today's context of rapid global change and uncertainty.